Should Retirees Be Conservative Investors? Having a retirement investment strategy. To answer this question, take a look at the following video and 99 retirement tips from Fisher Investments. Click the image to download the free guide. Author Living Well with CancerPosted on January 16, 2019 January 7, 2019 Categories Advice/Tips, ResourcesTags do's, don'ts, financial planning, Fisher Investments, retirement2 Comments on Should Retirees Be Conservative Investors? Retiring well is the plan. With the beginning of 2019, I have embarked on the next stage of life. For me, that means retirement from my full-time profession. For 44 years, I was a professor (the last thirty, a distinguished professor). But I am not retiring from life. And there are several things I plan to do in the future. While at the Zarb Business School of Hofstra University for all of those 44 years, I had a very rewarding career. I was extremely involved in the three pillars of academe: teaching undergraduate and graduate classes; engaging in scholarly research; and providing service to my department, my school, and to the university overall. Along the way, I was fortunate enough to also co-author two leading textbooks that were used worldwide and that went through many new editions. And I was lucky enough to be recognized with a teacher of the year award and four dean’s awards for service to the business school. But, I realize that at this point that I want to move onto the next phase of my life. As this blog has noted before, I do not intend to “throw away” any days. And I want to live life every day. This is a time for reflection — both keeping my positive memories as well as striving to build new ones. It was essential for me to retire while healthy enough to enjoy my next series of adventures. I will NEVER forget how lucky I am to be a pancreatic cancer survivor who celebrates four years post-surgery next month. To give back to my fellow cancer victims and their families through blog posts, other social media, and related efforts. 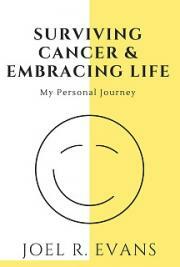 To continue to publicize my FREE book on Surviving Cancer and Embracing Life: My Personal Journey. I want to reach as many people as I can with my inspirational message. To make further personal appearances and do more radio interviews on surviving cancer. To expand my “giving back” scope to volunteer work with seniors, the poor, and others. To write a sequel to Surviving Cancer on my experiences since the first book was published. To do two vacation trips each year with the LOML (love of my life) Linda. To see if I have it in me to write a novel, something I’ve never done before. To keep on posting through my Evans on Marketing blog. To teach one graduate course per year, during the fall semester. To spend more time with my communities. 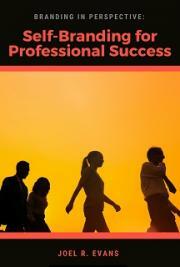 To continue to write about personal and professional self-branding — building on this brief FREE book: Self-Branding for Professional Success. Be more aware of the causes of cancer. It is imperative that we understand as much as possible about cancer. That is why we published these earlier posts: Being Smart About Your Health. Interesting Cancer Facts. And Where Cancer Rates Are Highest. Today, we look at sometimes overlooked cancer causes. To get some some excellent tips about staying/getting strong, check out the links below to several recent NY Times’ articles. There should be at least one article that addresses YOUR needs. Be motivated to set and follow cancer-related New Year’s resolutions. As we noted yesterday, we need to set meaningful resolutions so as to be better. We should do this in a positive, motivated, and continuing manner. Today, we offer New Year’s 2019 Resolutions – Part Two. This post deals more directly with the kinds of resolutions that those of us dealing with cancer need to address. Consider the applicable steps when setting and adhering to your own personal cancer-related resolutions for 2019. To view a larger (and more readable) version of the infographic, click the image. I am thankful each and every day to celebrate the blessing of life. As those of you who follow this blog know, I am a VERY lucky survivor of pancreatic cancer. On February 12, 2019, it will be four years since I had my successful Whipple surgery. My longevity is related to my embracing life and choosing happiness. Today, I want to share a few FREE resources I have developed and tell my personal story. Why? To provide hope and serenity for anyone with a serious disease and their loved ones. We must never forget that our caregivers suffer and endure along with us. After recovering from my surgery and follow-up chemotherapy, I view my life’s mission as assisting others with a terrible illness. To me, this is a responsibility that I welcome as one of the relatively few long-term pancreatic cancer survivors. In my mind and heart, I MUST give back. So, please take a look at these resources. The book is a hopeful, but realistic, view of my journey from diagnosis through treatment through return to work and my being able to walk my daughter down the aisle at her wedding. It has some humor and many quotes to ease the reading. Click the book cover to download a FREE copy of the book. Then, share it with someone you love. During the summer, I started a new blog to share health-related information and inspirational stories. It features infographics, videos, articles, and more. And despite the title, it relates to a wide range of health issues. Click the image to visit the blog. Then, PLEASE sign up to follow us. Finally, check out these new resources. Welcome aboard! In early 2015, my wonderful endocrinologist Dr. Joseph Terrana ran a routine blood test (part of my three-month testing as a diabetic). And he did not like the results. So, he sent me for an immediate CT-scan. It showed a lump in my pancreas. Soon after, I underwent 9-hour Whipple surgery by Dr. Gene Coppa of Northwell and the Hofstra Medical School. The tumor was malignant, but removed in full. After a short recuperation, I underwent six months of chemotherapy and other treatments under the supervision of Dr. Jeffrey Vacirca and his right-hand person Diana Youngs, nurse-practitioner, of NSHOA (now New York Cancer & Blood Specialists). Why do I consider myself so lucky? I was diagnosed REALLY early and had surgery shortly after. And pancreatic cancer can be a real killer because eighty percent are diagnosed too late for surgery. My family and friends have been terrific every day. And I have bonded with other cancer survivors. My medical team has been extraordinary. Besides being excellent professionals, they are caring and devoted. They are dedicated to making our lives as comfortable as possible. I work in a profession I love. I’ve been at Hofstra University for 43 years. Except for sitting out the spring 2015 semester, I have not missed one class since since then. On February 12, 2019, I celebrate FOUR years since surgery. After finishing chemo in August 2015, my CT-scans have all been clean. My plan is to be around for many more years. Do not avoid the doctor because you are afraid of what he/she may find. Early detection is the best way to mitigate your health problems. Have regular checkups and blood tests. Listen to the medical professionals! Surround yourself with family and friends who are supportive. Seek out your friends/acquaintances who have also dealt with cancer. They can be a wonderful resource and sounding board (when you don’t want to further burden your family). Live for tomorrow and the time thereafter. Learn the health rankings in your state, based on 33 measures. The health rankings are based on 33 different measures. And the research includes all 50 states. 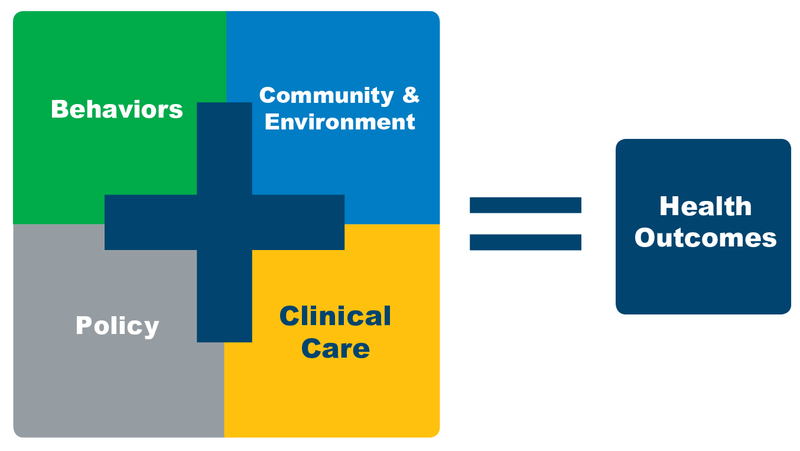 The measures relate to behavior, community and environment, policy, and clinical care, as well as health-related outcomes. Click the image to see the results for your state. Choose the “Overall in 2018” tab. Then, click on the state to see more in-depth information. And choose the middle of three tabs.